'Tis The Season is back for it's first challenge of 2015 and we've got a color challenge to start off the New Year! The orange in this combo could be in interpreted a few different ways. You could go for a lighter peach color or a brighter orange, which is the way I leaned. I got the Gentle Peace set as part of a Christmas gift and so I colored it in with shades of blue and orange. 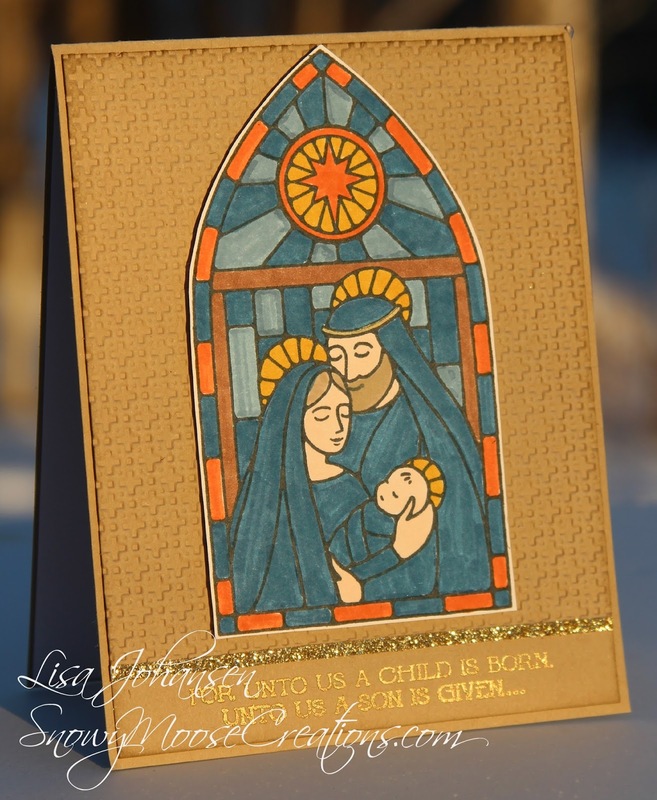 For the gold portion of the color challenge I embossed the sentiment in gold and also added a strip of gold glitter paper to separate the top panel from the sentiment area. To help the window image stand out a bit more I put it on an embossed panel of Crumb Cake. 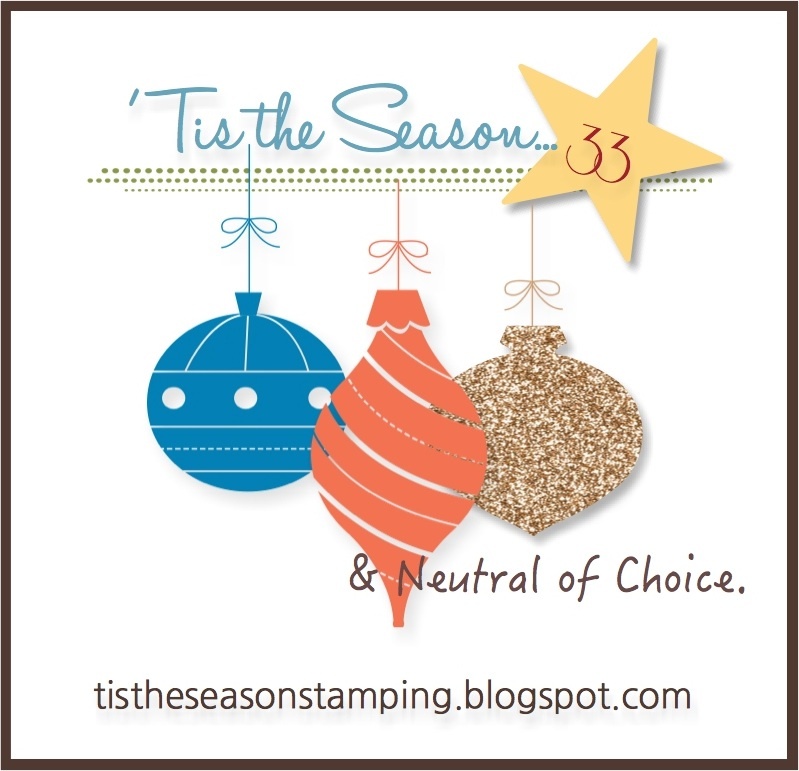 We hope you'll come by 'Tis The Season and play along with us! It's never too early to start getting ready for Christmas 2015!